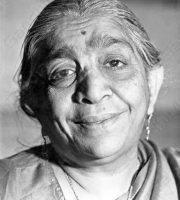 Sarojini Naidu was a popular indian poet. Her first collection of poems "The Golden Threshold" was published in 1905. Her poems were admired by many prominent indian politicians like Gopal Krishna Gokhale and a large part of indian public. Her collection of poems entitled "The Feather of The Dawn" was edited and published posthumously in 1961. Here are some of her best texts and verses translated in english.